Posted on 11, December 2015 by EuropaWire PR Editors | This entry was posted in Financial, France, Investment, Security & Safety, Small Business, Technology and tagged AirTag, Jérémie Leroyer, Mobile payment solutions, Morpho. Bookmark the permalink. PARIS, 11-12-2015 — /EuropaWire/ — Morpho (Safran) has finalized its acquisition of AirTag, a French startup specialized in innovative mobile payment solutions. This latest acquisition further reinforces Morpho’s growth strategy in the digital security market. 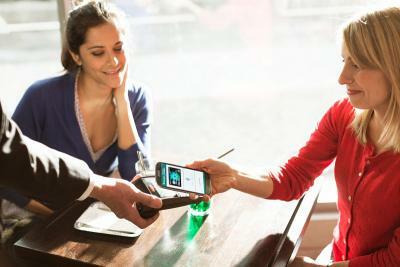 AirTag develops secure mobile transaction solutions for banks, payment networks and retail. The company developed AirPass, a “virtual bank card” solution using HCE* (Host Card Emulation) technology and based on a proprietary Tokenization platform (involving a single-use payment token), now being deployed by major players in the e-payment sector. AirTag also offers retail customers an innovative e-wallet service called AirShop, providing payment, loyalty and other smartphone-based services. *Players in the electronic payment sector have specified the HCE (Host Card Emulation) solution to facilitate the use of contactless mobile payment systems. Founded in 2006 by Jérémy Leroyer, Cyril Porteret and Guillaume Massis, AirTag commercializes a platform of secured transactions on Smartphone. AirTag has worked with many financial and commercial institutions internationally well-known: Crédit Mutuel Arkéa, MasterCard, ING, BNP Paribas, La Banque Postale, KFC, G20 etc.